The new 15m-deep 300m long underground mid-town station near Wellesley and Victoria Streets is expected to be New Zealand's busiest train station. It’s also future-proofed for any future decision to create a North Shore rail line. 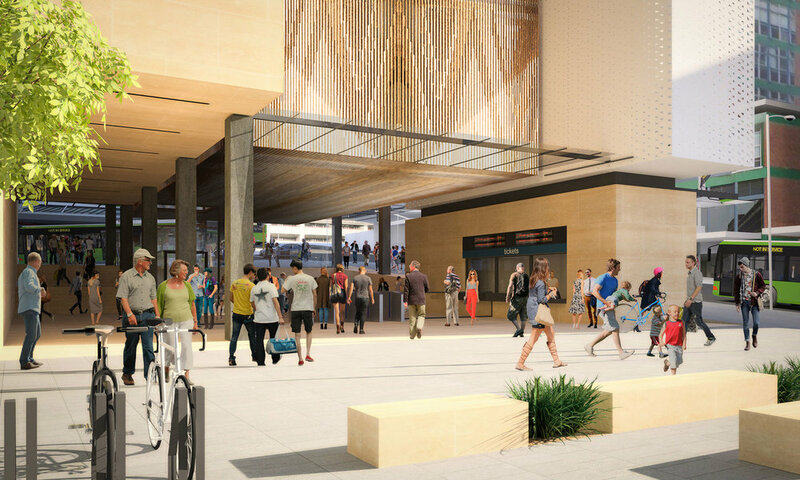 Aotea Station - its interim name - will have entrances on Victoria Street and Wellesley Street. It’s close by the Aotea Centre, the Auckland Town Hall, Q Theatre, Civic Theatre, SKYCITY, the Auckland Art Gallery and Central Library for those coming into the city for a night out. We've created a fly-through video (below) so you take a virtual journey through the new Aotea Station. Here are a few things to keep an eye out for when you take the tour. We start our journey at the Wellesley Street entrance. 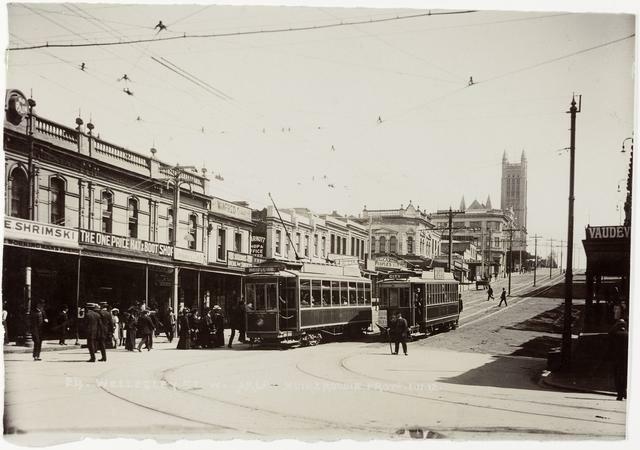 This is just up from the Civic Theatre and Bledisloe Building and in a space where the Griffiths Buildings stood for 80 years on the corner of Wellesley Street and Mayoral Drive. In recent years, the building housed a wine shop. It's presently a public space and garden funded by the City Centre Targeted Rate as part of council efforts to retain the vibrancy of the city centre during major capital works. 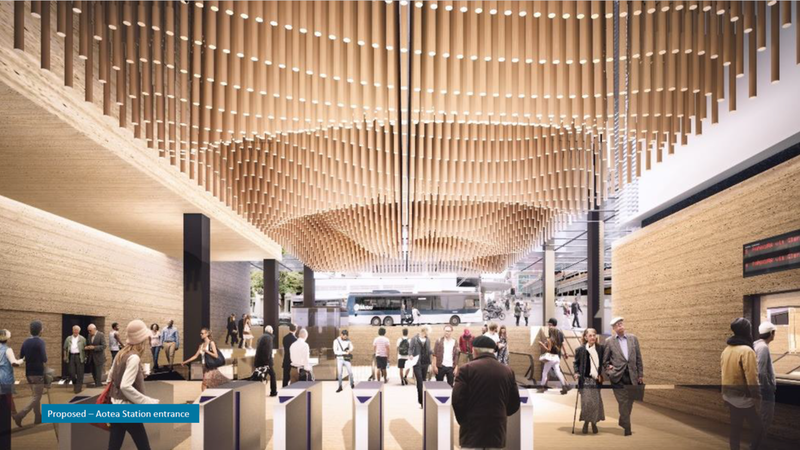 At the Wellesley Street entrance of the Aotea station, you can catch sight of hundreds of rods suspended from the ceiling creating a dappled lighting effect that mimics water and creates a ripple effect as commuters pass underneath. The rods represent the stems of flax plants when made into piupiu (cultural skirts). The station is underground but notice how light it feels. Within Aotea station, seven skylights will represent the seven stars of the Matariki constellation. It brings beams of light from the heavens into the darkness of the underground concourse and platform areas. The internal station walls are not only efficient structural elements but have been modelled on Maori woven patterns. The acoustic panels lining the station walls reflect a similar pattern. As with the Mercury Lane station, there is the potential for a building above the station entrance. Land resource consent has been secured for a 41,000sqm office tower above the station. In fact there could be two commercial towers; one directly above the station box; and another to the south. Alongside the Civic building in Wellesley Street is the existing Bledisloe Lane which contains the Bledisloe office building built in 1959 as an early high rise in Australasia and originally used by government departments. It is now occupied by Auckland Council staff. A wide laneway (similar to Elliott Street) with retail between the Bledisloe Building and the proposed towers would provide a strong pedestrian link from Wellesley Street and the station to Aotea Centre and the theatre district. A cross site link which separates the two towers, would provide another pedestrian link to improve connectivity from Mayoral Drive to the Laneway and Aotea Square. You can catch a glimpse of this new pedestrian link in the video. The platforms will run under Albert Street from Wellesley to Victoria Streets with other entrances located on the eastern and western sides of Albert Street where it intersects with Victoria Street. During your journey you'll travel the length of the station towards the Victoria Street corner (presently where the bungy site is) and you'll also see the proximity of entrances to the SKYCITY tower. The street station entrances you'll see in Victoria Street means you will be able to exit the trains at Victoria St or enter the station from near SKYCITY or where the bungy site is. You'll also notice the new look of Victoria Street itself with wider footpaths and cycle lanes. This may help to get your bearings on the area if you get lost while watching the video. In February 2016, the Griffiths Holdings building on the corner of Wellesley Street West and Mayoral Drive was demolished. This is the corner where the Aotea Station will go. The Griffiths building has stood on this corner for around 80 years but it was declared structurally unsafe. While it was not a heritage building, and it had been heavily modified over time, there were parts of the building considered worth storing, including a coat-of-arms parapet and some historic clay blocks manufactured at the historic Holland's brickworks at Limeburners Bay in Hobsonville. 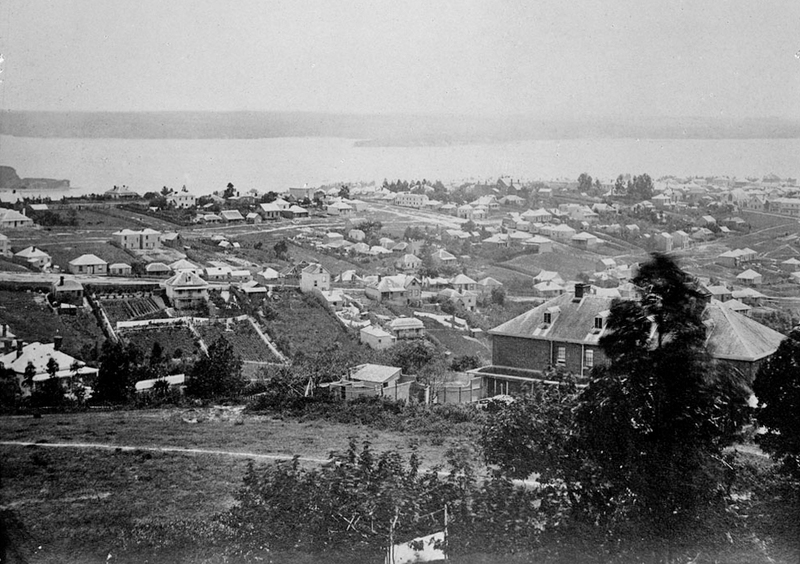 After the building was demolished, the area was turned into a public space called Griffiths Gardens. 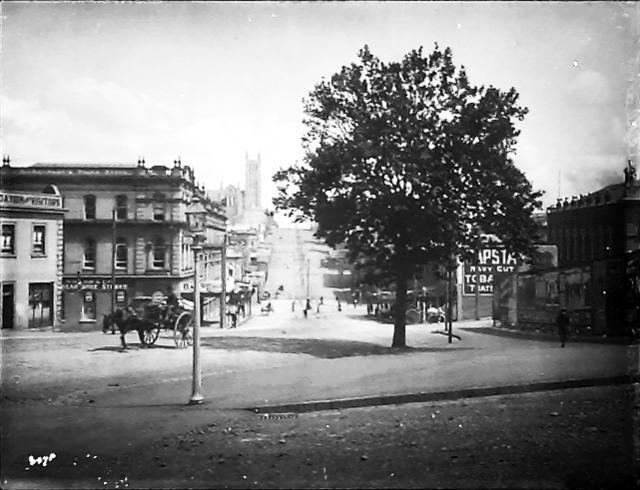 Aotea Square – once the site of the city markets, surrounded by Chinatown and low scale commercial buildings - was chosen as the site for the Auckland Town Hall in 1908. The completion of the Town Hall gave impetus to considerations of a civic centre. The Aotea Precinct is the civic heart of Auckland City. It includes the administrative offices of Auckland City and the key civic / entertainment buildings including the Civic Theatre (1929) and Aotea Centre (1990). In 1911, Charles Reade had presented a scheme for the Civic Centre with large open spaces and the Town Hall as the central element. After Queen Street was widened between Wellesley and Wakefield Streets in 1924, a Civic Centre competition was won by Architects Gummer and Ford. Their plan proposed a municipal building and art gallery with grand classical facades, facing an extensive public square west of Queen Street. 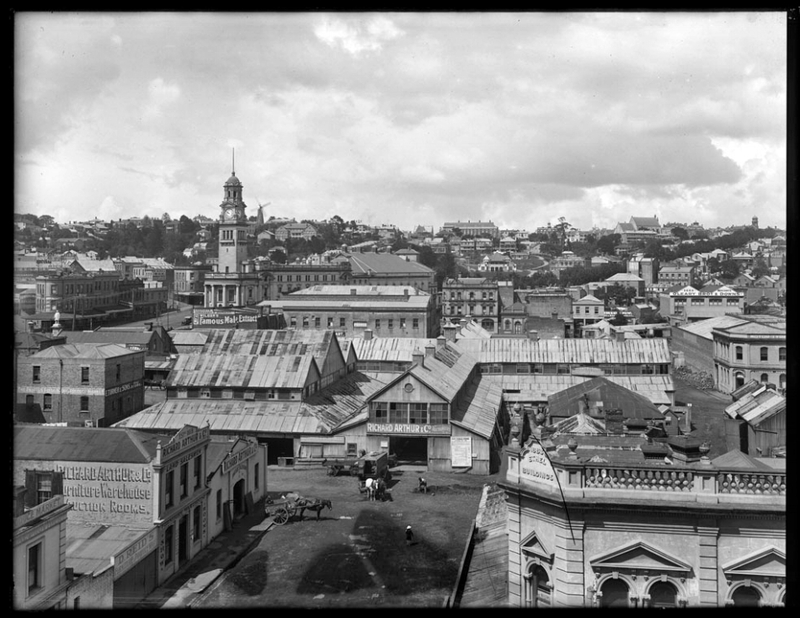 The scheme was abandoned in 1925, following an unfavourable poll of ratepayers and a year later the council established a commission to produce a new design. This scheme, similarly based on a strong classical style, was also turned down. The issue of a civic centre persisted and Gummer and Ford were again approached in 1937 to design a civic administration block and then in 1943 to produce a new concept. By 1944 the new plans were ready but no further action was taken. In 1946 a significant change occurred when the Government proposed that a civic centre should also offer central Government accommodation. 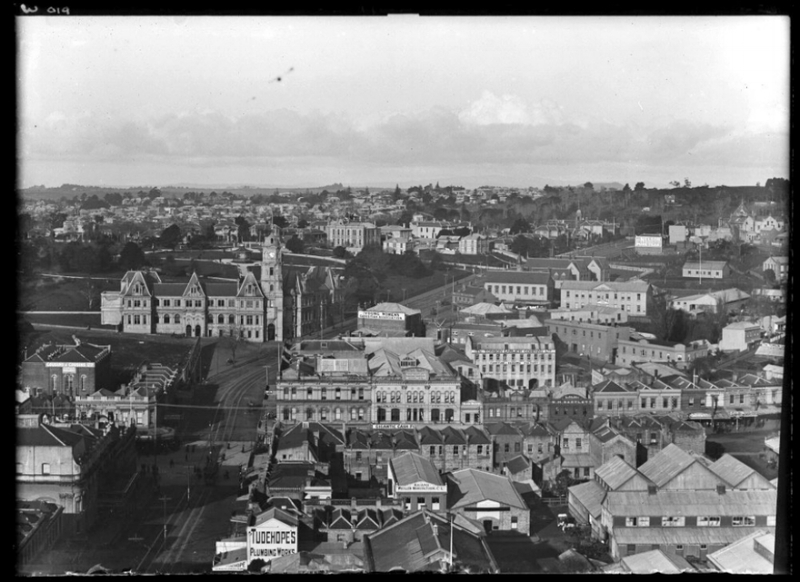 The four stages of the scheme were prepared by the government's architect in the early 1950s but the lack of agreement between the Government and Auckland City Council as to the required features of the new centre delayed the scheme. Bledisloe State Building was built in 1957 and the Civic Administration Building in 1966, the latter designed by City Architect, Tibor Donner, after he had completed a study tour of modern American office buildings. 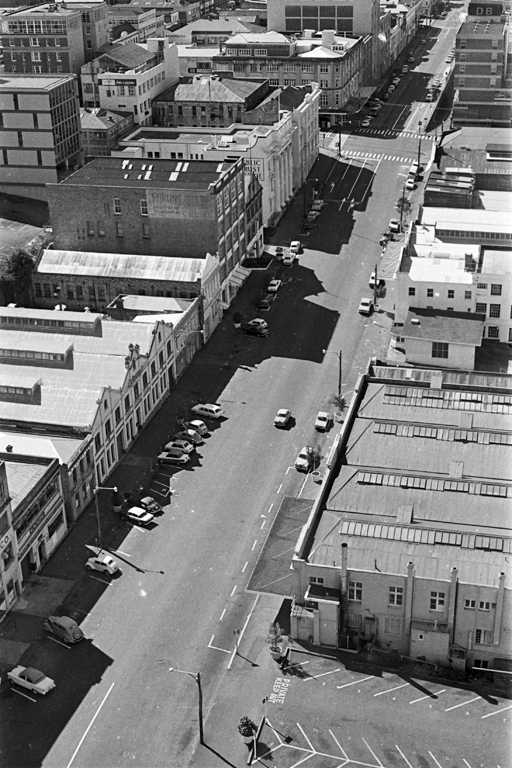 Quadrant Road was realigned to later become Mayoral Drive which was built in two stages; Albert Street to Queen Street in 1974 and Queen Street to Wellesley Street in 1985. A 1971 Civic Square Competition did little to further the building of the Centennial Hall and it was deferred due to lack of finance. Further meetings and consultation led to a 1979 design for a large multi-purpose theatre and a smaller theatre. Construction of the Aotea Centre began in 1984 but, due to cost escalation and debate about the site, it was not completed until 1990. The Civic Administration Building served as the main city offices of the Auckland Council but staff were then moved because of an asbestos issue. In 2016, the building was sold and developer, Tawera Group, announced plans to remove the asbestos and convert the office tower into apartments with bars, restaurants and cafes at ground level. In 2011, the council negotiated and completed the purchase of 135 Albert St - the 29-floor tower on the corner of Albert, Wellesley and Federal streets which had been ASB's headquarters. This became Auckland Council’s corporate headquarters. Click any image below to start slide-show.